Directions: Click on the preview above to open this file as a print friendly PDF. You can also download it as a jpeg if you need to make edits. 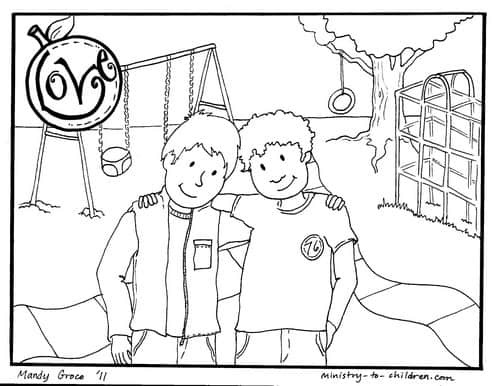 This coloring page is another part of our Fruit of the Spirit coloring book for kids. Don’t miss all our free lessons based on this passage. Each of these attempts to illustrate the meaning of Galatians 5:22-23 for children. This particular page highlights the spiritual fruit of love for others. It shows two friends on a playground. This printable would work well at home or in a kids Sunday School lesson about love. 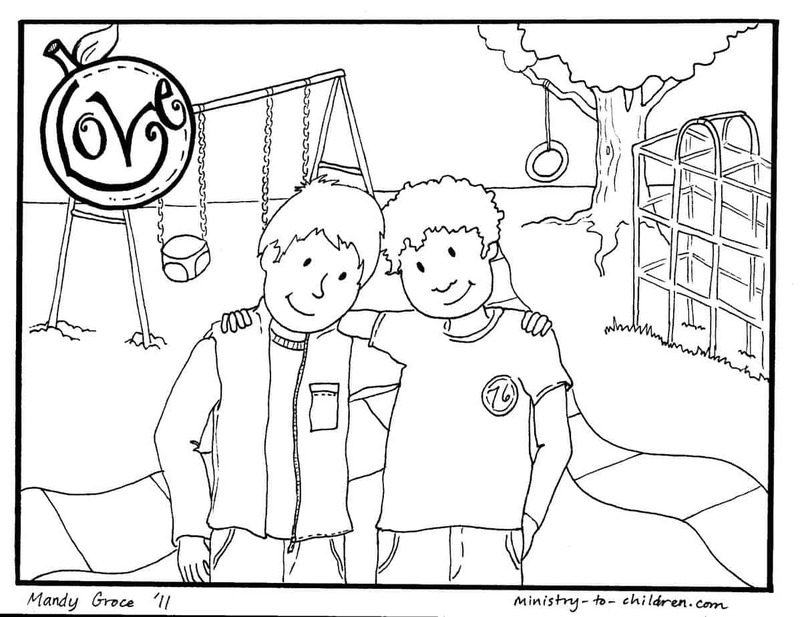 Like all our resources, this Love coloring page is 100% free to use in any ministry setting. Tony Kummer (Editor) reviewed & updated this page on : August 27, 2012 at 7:26 pm. All our content is peer reviewed by our readers, simply leave a comment on any post suggest an update.